For use as a primary text in undergraduate nursing research courses. Clear, engaging writing sparks an interest in nursing research and evidence-based nursing. 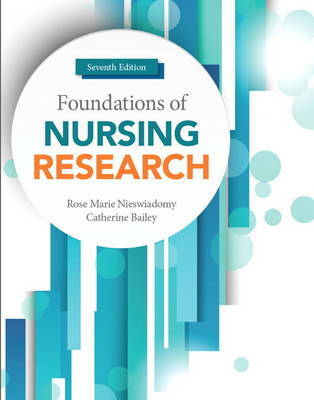 Foundations of Nursing Research illuminates all steps of the nursing research process, helping students understand the importance of research to evidence-based nursing practice, evaluate and critique research, and determine whether study findings are ready to apply in practice. Its conversational tone explains research simply and clearly. To illustrate specific aspects of the research process, extensive research study excerpts are interspersed throughout the book, including research performed outside the U.S. User-friendly learning features include chapter objectives, key terms, summaries, review questions, research links, and self-tests.